I earned the master's degree in computer science from Southern Polytechnic State back when it was Southern College of Technology and the Ph.D. degree in computer information systems from Nova Southeastern University. I have been teaching at Southern College of Technology, and then SPSU, now merged into Kennesaw State University, since January, 1996. I retired in 2017 after 21 years of teaching. Teaching has followed a 30-year career in information technology beginning in 1969, and in medical informatics since 1974 when I began working with the Medical Association of Georgia to develop the methodology for medical care review which assures quality and appropriateness of medical care for Medicare patients. I taught because it is rewarding to help students have the "Aha! experience," and that happened several times each term. It made me feel really good to help others learn the things I know and to learn new things myself in the process. You can still send e-mail to me at: . Other contact information has its own page. If you're applying for a job or graduate school and you were in one of my classes, I can still write a recommendation. Read about recommendations or references from me. Why do professors seem so busy with only a few classes? Read How I Spent Summer 'Vacation' by Eszter Hargittai. So, I didn't have time to be sick. Neither do you; you may also want to read my web rant about vaccinations. Introduction to Binary Numbers This is a "packaged" lesson that can be presented in a 50-minute class period. It is suitable for grades three to ten. I have a few prepared presentations; invite me to speak at your school! It is difficult to recognize opportunity because "opportunity looks a lot like hard work." Fall Semester, 2001, Summer Term, 2001,, Spring Semester,2001;, Spring and Fall Semesters, 2000; Spring and Fall Semesters, 1999; Fall Semester, 1998. CS5223 Computer Architecture Summer Term, 2001, Spring Semester, 2000, Fall Semester, 1999. IT 3123, Hardware and Software Concepts (formerly IT 3124) Fall Semester, 2016, Spring Semester, 2016, Fall Semester, 2015, Summer Term, 2015, Spring Semester, 2015, Fall Semester, 2014,, Summer Term, 2014,, Summer Term, 2013, Fall Semester, 2012, Fall Semester, 2011, Spring Semester, 2011, Spring Semester, 2010, Fall Semester, 2009, Summer Term, 2009, Spring Semester, 2009, Fall Semester, 2008 Summer Term, 2008, Spring Semester, 2008, Fall Semester, 2007, Summer Term, 2007, Spring Semester, 2007, Fall Semester, 2006, Spring Semester, 2005. IT 3203, Introduction to Web Development (formerly IT 3204) Spring Semester, 2017, Fall Semester, 2016, Spring Semester, 2016, Fall Semester, 2015, Spring Semester, 2015, Fall Semester, 2014, Summer Term, 2014, Spring Semester, 2014, Fall Semester, 2013, Spring Semester, 2013, Fall Semester, 2012, Spring Semester, 2012, Fall Semester, 2011, Spring Semester, 2011, Fall Semester, 2010 Spring Semester, 2010, Fall Semester, 2009, Spring Semester, 2009, Fall Semester, 2008 Summer Term, 2008 Spring Semester, 2008, Fall Semester, 2007, Summer Term, 2007, Spring Semester, 2007, Fall Semester, 2006, Fall Semester, 2005. IT 4401 – Information Technology Senior Seminar Fall Semester, 2003. IT 4533 and IT 6533 – Health Information Security and Privacy Spring Semester, 2016, . IT 4823 – Information Security Administration Spring Semester, 2017, Fall Semester, 2016, Spring Semester, 2016, Fall Semester, 2015, Spring Semester, 2015, Fall Semester, 2014, Summer Term, 2014, Spring Semester, 2014, Fall Semester, 2013, Summer Term, 2013, Spring Semester, 2013, Fall Semester, 2012, Summer Term, 2012, Spring Semester, 2012, Fall Semester, 2011, Spring Semester, 2011, Fall Semester, 2010 Summer Term, 2010 Spring Semester, 2010, Fall Semester, 2009, Summer Term, 2009, Spring Semester, 2009, Fall Semester, 2008, Summer Term, 2008, Spring Semester, 2008, Fall Semester, 2007, Spring Semester, 2007, Summer Term, 2006, Spring Semester, 2006, Fall Semester, 2005. Web Lectures Short articles of interest to students of computer science. Alan Clements, with information related to computer architecture. Ray Ontko maintains an index to computer architecture courses using Tanenbaum. from the Applied Physics Group, University of Essex, England. How Computers Really Work (This is just for fun, OK? Spam Rejection Hall of Shame Evil done in the name of fighting spam. I am available for limited consulting engagements. If I can help your organization, please contact me at: Complete contact information is here. I have completed consulting engagements for American Physician Services, Blue Link Webs, Eagle Hospital Physicians, the Georgia Higher Education Alliance, the Baker High School Alumni Association, William Hardcastle, MD, Riverstone Montessori Academy, Elite Property Maintenance, and the State of Georgia, among others. 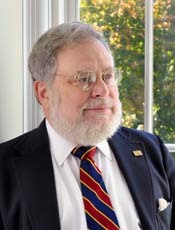 Member of ACM, IEEE, and IEEE Computer Society. Past president of the Atlanta Chapter of DPMA, now AITP. Copyright © 2002-2016 by Bob Brown. If you would like to use any material from my Web pages, please read what I have to say about copying and distributing. Some documents on this page are in Portable Document Format (PDF) and require the Adobe Reader, which can be downloaded free, directly from Adobe.